RP Dream Sweeter known as JENNA has found her forever home with Marquita and Tim who live in Cheviot with BEN. When Jenna met her new family her tail was wagging and she knew she was HOME! 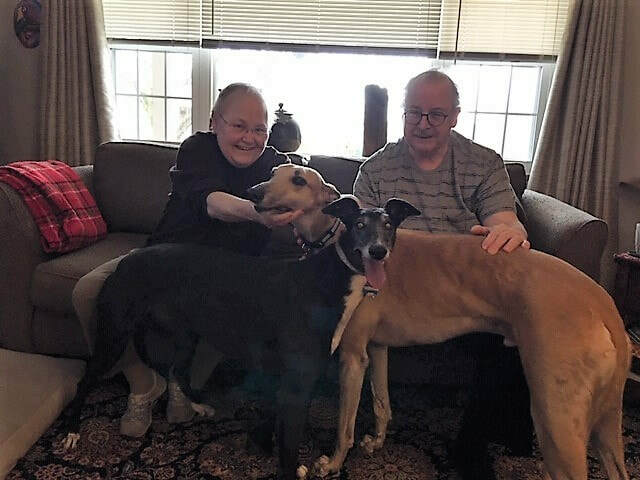 Ben was adopted last year and this family has had other greyhounds before and when they heard about Jenna they knew she would be a perfect fit for their family. She will be VERY happy now!